When you are pregnant, it’s a good idea to look at your environment both at home and at work. Exposure to potentially toxic substances can have harmful effects on your growing baby. Here is how you can reduce your risks. Poor air quality (air pollution) occurs when indoor or outdoor air contains gases, dust, fumes or odor in harmful amounts. • Reduce strenuous activity when air quality is bad. 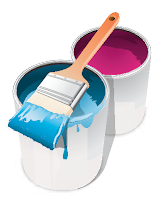 • Reduce the use of paints, glues, permanent markers, nail polish and aerosols. Certain cleaning products have been associated with wheezing and asthma in children and some contain endocrine disrupters (affect normal hormone function). • Disinfectant cleaners and antibacterial soaps*. • Vinegar mixed with water to clean windows and floors • Baking soda to scrub clean sinks, tiles and bathtubs • Fragrance-free detergents. Lead can cross the placenta and affect fetal brain and nervous system development. • If your house was built before 1950, you may have lead service lines. If so, run cold water at medium flow for at least 5 minutes if water has not been used for >6 hours. Also, drink bottled water or use a water filter on your tap that reduces lead. *Disinfectants may be necessary for situations involving sewer backups, infectious disease control, diaper change tables and meat preparation (ie cutting boards). Exposure to volatile organic compounds (VOCs) is associated with various health problems for both you and your baby. 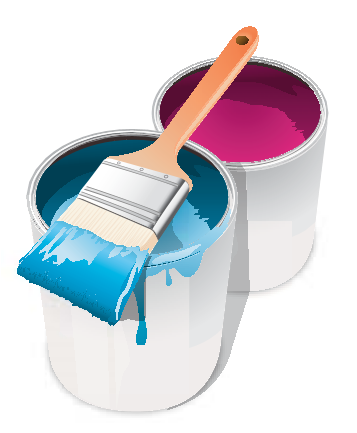 • If necessary, use latex paint and, if possible, choose paint labelled low-VOC or VOC-free and ventilate well during and after the work. Stay away until the paint is dry with no smell. Many contain chemicals that have been linked to disruption of normal hormone function or can cross the placenta and affect the developing fetus. 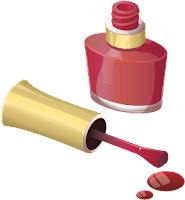 • Nail polish and nail polish remover. If using, choose acetone-free products in a well-ventilated room. • Hair spray. If using, wait until after the first 12 weeks of pregnancy. • Hair dye. If applying hair dye, ensure the room is well ventilated, wear gloves and leave the dye on for only the minimum time. Do not apply more than 3-4 times during pregnancy. May lead to early pregnancy loss, birth defects and affect fetal growth and development. The cosmetic use of pesticides is banned in Ontario. • Wash fruits and vegetables well • Buy local produce when in season. Over time, plastic can break down and the chemical ingredients can leach out. • Use alternatives to plastic packaging whenever possible.